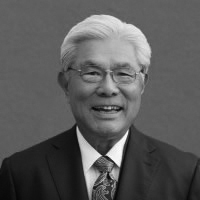 Managing Director Roy Imai has been purposefully focused on executive benefits and estate planning during his nearly 50 years in the industry. In addition to his career-spanning retail insurance practice, Roy has more than 25 years dedicated to executive benefits consulting. A lifelong resident of Hawaii, Roy has deep roots and strong business relationships that have enabled him to assist major financial institutions and corporations with benefit programs designed to help them retain their valuable executives. Additionally, Roy has helped many banks and corporations with bank and corporate owned life insurance strategies to effectively fund benefit plan liabilities. Roy Imai is affiliated with Valmark Securities, Inc. Securities offered through Valmark Securities, Inc. Member FINRA, SIPC, 130 Springside Drive, Akron, OH 44333-2431* 1-800-765-5201. Fulcrum Partners LLC is a separate entity from Valmark Securities, Inc.